Whether you're attending WWDC itself or hanging out in San Jose for the week, there are a ton of awesome alternative experiences you should check out. Apple's Worldwide Developers Conference in San Jose may be the focal point during the first week of June — but it's certainly not the only game in town. If you're attending WWDC or just hanging out in town with your fellow developers, designers, and tech pals, there are a bunch of other meetups, events, concerts, runs, and secondary conferences worth your time. Here are just some of the ones we're looking forward to. It's also worth checking out the Parties for WWDC app, which is frequently updated with information for events, podcasts, food meetups, and parties. As the developer community has grown, tickets to WWDC have gone from hard to get to lottery-level impossible — and in response, the secondary conference was born. Held in the same general area as WWDC, these conferences are designed for developers, designers, and enthusiasts who want to come to town for WWDC, but can't (or choose not to) attend the flagship conference itself. The two ex-Apple employees founded Layers in 2015 to give designers their own WWDC experience, but the conference has grown to include speakers and talks on culture, leadership, teamwork, social responsibility, creativity, learning, and business. One of my favorite talks from a few years back involved former App Store editor Windy Chien stressing the importance of hobbies — all while teaching the room how to tie complex knots. It's an unconventional, interactive conference that presents incredibly diverse experiences and stories, and 2018 looks to be no different: This year, the speaker list is brim-filled with exciting names, including original Apple emoji designer Angela Guzman, former Disney imagineer Tom Morris, and typographer Jessica Hische (whose typefaces have been featured on U.S. postal stamps, Penguin book covers, and in Wes Anderson's work). Layers begins with an opening night party on Monday at the Montgomery Theater, followed by two days of conference talks broken up by snack breaks from local vendors. You can grab a pass to the conference on the Layers website; if you belong to an underrepresented industry group, you can also use the code REPRESENT to receive $100 off a Layers pass. Additionally, Layers is offering scholarship passes for those unable to otherwise afford to attend the event. One of the first "alternative conferences" to pop up at WWDC, AltConf has provided a free space for WWDC-goers to learn and interact with fellow tech enthusiasts — whether or not they're actually attending WWDC. AltConf takes place at the San Jose Marriot; the conference will stream the Keynote and State of the Union for over 900 attendees before splitting into two theaters' worth of free talks along with AltLabs, where attendees can host a group event or public lab. If you want developer-focused talks but missed out on a WWDC ticket, NextDoor offers the next best thing, with sessions from prominent iOS and Mac developers at the Hilton Hotel. Founded by CocoaConf and run by successors SimplyCocoa, NextDoor has become a great alternative developer conference to WWDC. This year features a live roundtable from developer Brent Simmons and talks from James Dempsey, Liz Marley, Soroush Khanlou, and Janie Clayton among others. iMore will also be hosting a live version of the iMore Show at Next Door on Thursday with Rene, myself, and a few other special guests. Want to spend time with fellow WWDC, Layers, AltConf, and NextDoor attendees? These hangouts are often more informal or smaller than the big events and happen multiple times throughout the week. Some are ticketed, some are free and open to the public; some require running shoes, while others a healthy appetite. Get your activity rings closed early and wake up before the conference by running an easy 5K along the Guadalupe River! Founded by Slopes developer Curtis Hebert, the WWDC Run takes place every morning (Mon-Thurs) at 7:20am; if you're curious, all you need is a pair of running shoes and to meet at 345 Park Ave in San Jose (approximately a 10 minute walk from downtown San Jose). If you come to WWDC for the food experiences (and, given all the delicious eats in San Jose, who would blame you? ), check out the Night of Dim Sum at Din Tai Fung in Santa Clara. Tickets cost $125 for a two-hour smorgasbord of unlimited dim sum delicacies and chatting with fellow WWDC friends; Monday's dim sum dinner has sold out, but there's an additional dim sum event on Thursday in case you've missed out. If you're a fan of ATP, the Talk Show, Relay.fm, or iMore, you'll want to hear more about the great live podcasts going on during WWDC week. There are shows pretty much every day of the week, in venues like the Hilton, California Theater, Hammer Theater, and more. Live from AltConf, the folks behind the Accidental Tech Podcast (that's Marco Arment, Casey Liss, and John Siracusa) are hosting a live episode after Monday's WWDC keynote festivities. Tickets are currently sold out, but you can still listen to the episode after the fact on the ATP website. Gruber brings the Talk Show to the California Theater in San Jose once again to interview an as-of-yet unnamed special guest. Who might show up in 2018? The past three years have seen Apple SVP of Worldwide Marketing Phil Schiller, SVP of Software Engineering Craig Federighi, and both of them together to take the stage; this year might bring another Apple executive to the forefront — or the long-awaited return of John Moltz. Anything's possible. Tickets will be available through Daring Fireball soon; keep an eye on the site for more details. Podcast network Relay.fm is hosting its yearly WWDC event on Wednesday at the Hammer Theater. 2018 brings a live episode of Connected to the stage with special guests Jason Snell and someone you may have heard of named Serenity Caldwell (oh hey, that's me!). I hear there might be some other special guests, too, so stay tuned. Tickets have currently Sold Out, but you can catch the recording on the Connected stream after the event. The show will also be live streamed on our Instagram channel if you can't make it over to NextDoor. If you're all about Swift, you'll want to visit the try! Swift San Jose meetup on Friday: The group is hosting panels of Swift Open Source contributors chatting about Swift's open source project, along with an open source Swift workshop from 2:30-6PM. . Looking to hang out with fellow developers, tech journalists, and Apple aficionados during WWDC? Here are some of the awesome events and parties happening. Presented by the Loop, MacStadium, Pixelmator, and MacPaw, Jim Dalrymple's annual celebration of developers, Heineken, and rock and roll is entering its eighth year. Come hang out with Jim, Dave Mark, and a host of rock 'n rollers at The Ritz. As always, tickets are free, but limited; get your ticket from The Loop now! If you want to spend your Monday with a little more conversation and a little less action (please), you can drop by Firebase's mobile development party at The GlassHouse in San Jose. The Google-based mobile dev company is offering free tickets, but you'll need to request an invite to get into the party. James Dempsey's coding-themed rock band is back for another year of strumming and singing about Swift, broken iPhones, and eponymous breakpoints. (If you're lucky, you may catch a glimpse of yours truly shredding on the ukulele.) This year, the show is gracing the halls of The Ritz, and will have a full open bar. As always, the show is a benefit for App Camp for Girls courtesy women@wwdc; general admission tickets run you $35; there's also an $125 VIP ticket that gives you access to the VIP section and big-screen shoutouts during the event. This event is for WWDC passholders only, but it's a time-honored tradition nonetheless: Obligatory big-name band, lots of WWDC attendees, and — you guessed it — liquid libations. There's no official announcement yet as to the Beer Bash's schedule, but we should be hearing from Apple shortly. 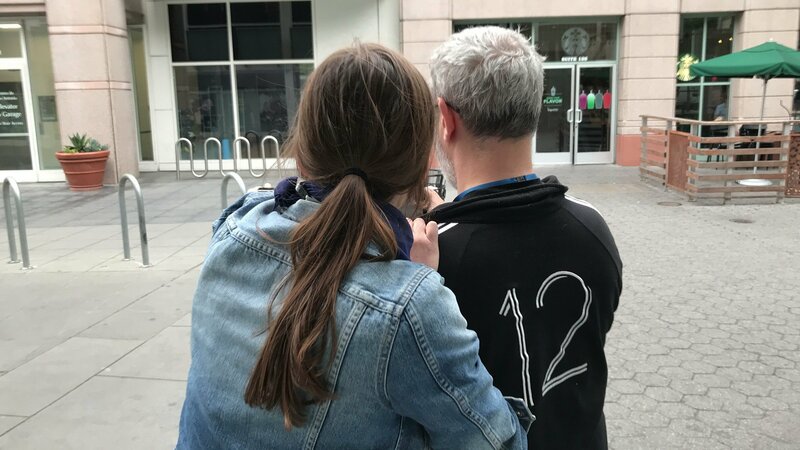 Layers is bringing its end-of-WWDC guerrilla dance party back for another year! You'll be able to party with the Layers club at Enso; tickets are available now for a pay-what-you-can cover charge. Anything you're looking forward to attending during WWDC week that I haven't listed here? Drop it in the comments.